Mrs. Vera Geraldine Hinson, age 72 of Jackson, Georgia, passed away Wednesday, January 23, 2019 at Westbury Medical Care and Nursing Home in Jackson. Mrs. Hinson was born in Griffin, Georgia on November 26, 1946. She is preceded in death by her husband, Prentice Hinson; parents, James Albert and Avis Bailey Hinson, Sr.; brother, James Albert Beasley, Jr. and nephew, Christopher Reynolds, Sr. She worked for many years at 1888 Mills in Griffin. Survivors include her sister-in-law, Debra Beasley; niece, Marie Reynolds; nephews, Ross (Anna) Beasley and Jamie (Cristal) Beasley; great-nephew, Jacob Beasley and great-niece’s, Emma Beasley and Aspen Beasley. Mrs. Hinson’s request was to be cremated, a family memorial will be held at a later date. Conner-Westbury Funeral Home, 1891 W. McIntosh Rd, Griffin is in charge of arrangements. 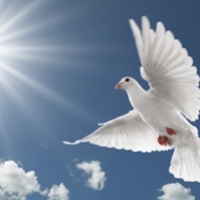 Please join the family and friends in honoring Vera G. Hinson by visiting www.conner-westburyfuneralhome.com and posting your tributes and memories.